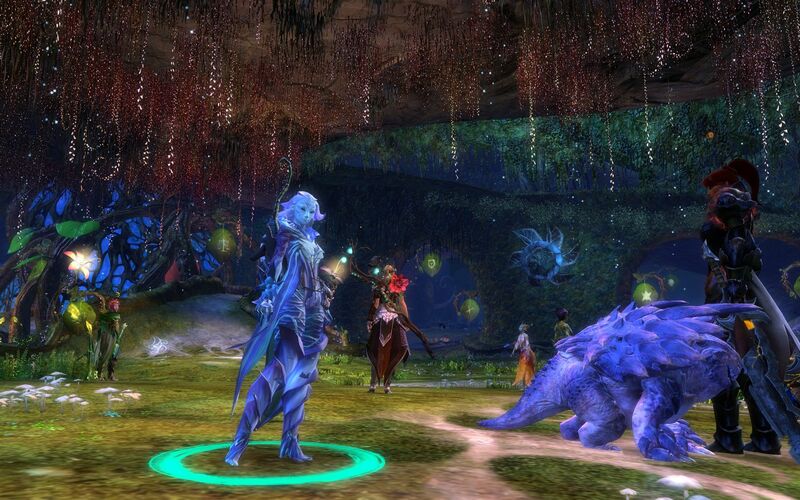 Guild Wars 2 Enters Year 5! Wow, four years gone already? Well nearly! 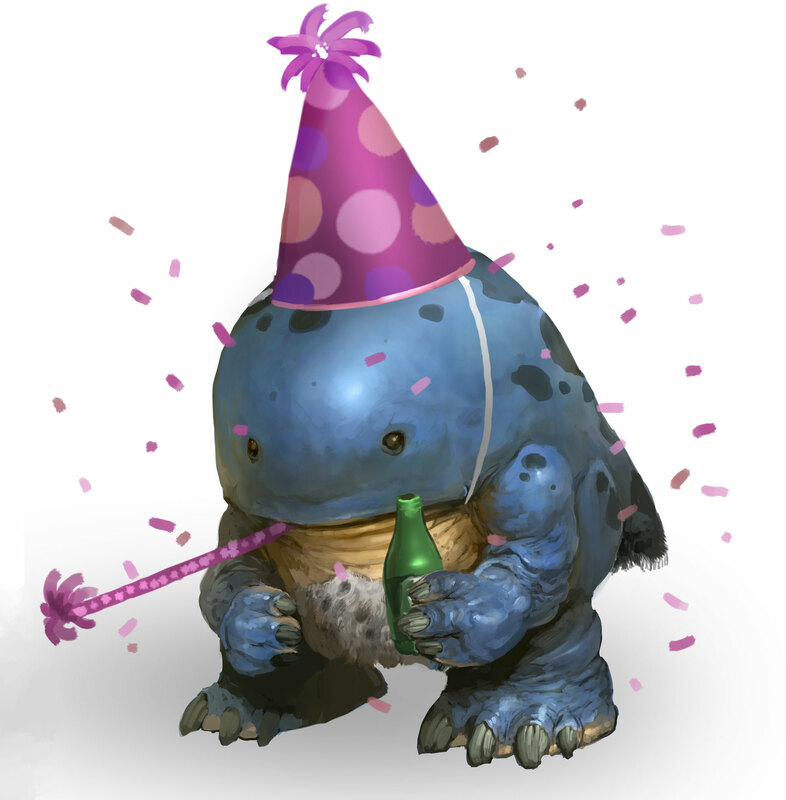 Guild Wars 2’s actual birthday is August the 28th and players who got early access to the initial launch are seeing their characters hit 4 years old. Presents are turning up in the mail box and I am one of those players lucky enough to enjoy some expensive new dyes, a unique cultural backpack and some other goodies, as well as the obligatory birthday card that we are supposed to eat for karma. That’s a Guild Wars 2 in-joke that goes back to eating children’s drawings. So, what else is happening and what can we look forward to in year 5? 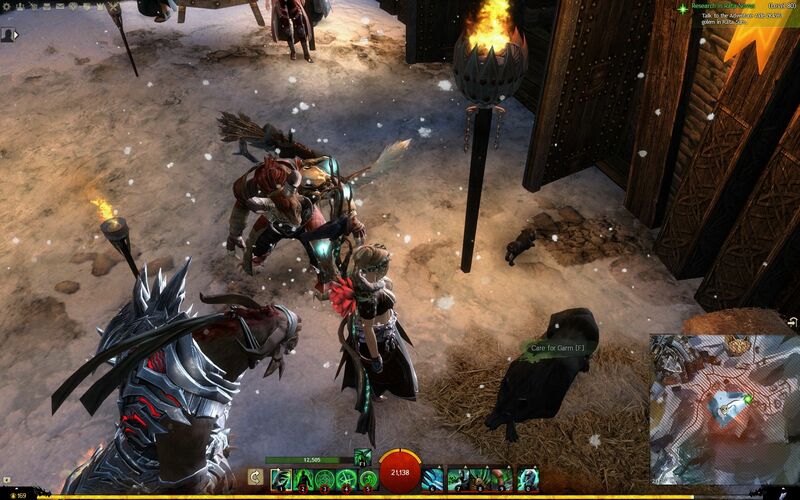 ArenaNet are apparently working on the next expansion and Season 3 of Living World is laying the ground work. We know the Elder Dragon Primordus is active and that the White Mantle have returned. In a dramatic plot twist though, the White Mantle have already fractured into two competing factions: those loyal to the mursaat Lazarus the Dire and the traitors who side with Lord Caudecus Beetlestone against Queen Jenna and the Krytan royal throne. While Lord Caudecus represents a more conventional human threat, the real question is what the mursaat Lazarus is going to do. All we know so far is that this mursaat has been infused with an incredible amount of magical power from the Bloodstone of Bloodstone Fen and must now hold the strength of a demi-god. Having expressed no interest in the human realm of Kryta, what is he after? The question that must be teasing players is if he is going to go after the Elder Dragon Primordus and be our… ally? Is that even possible? The mursaat were an iconic race of villains from the original Guild Wars who exploited humanity to repel the titans. The titans in turn had conned the charr into worshiping them as gods, causing a proxy war to unfold between humans and charr with mursaat and titan pulling their strings in the background. Things are different ~250 years later in the present age. The Krytan and remaining Ascalonian humans have, for the most part, a co-operative understanding with the charr of the Iron, Blood and Ash Legions headquartered in the Black Citadel. The main reason for this has been the emergence of the Elder Dragons as a devastating mutual threat, forcing these races together for the foreseeable future. The mursaat and titans meanwhile were consigned to history. The return of the mursaat Lazarus the Dire poses so many questions. Lazarus is a centuries old being without any titans left to fight, without any interest in the Krytan throne, and who has been reborn with a tremendous amount of power. I suspect the mursaat must have some ideas about the restoration of his own race, but we’ll just have to wait and see. For those out of the loop, Caudecus Beetlestone is the highest profile character from the Krytan ministry and has been working to usurp Queen Jenna since the game’s launch. This culminated in his house arrest at the end of the Caudecus Manor dungeon story path. 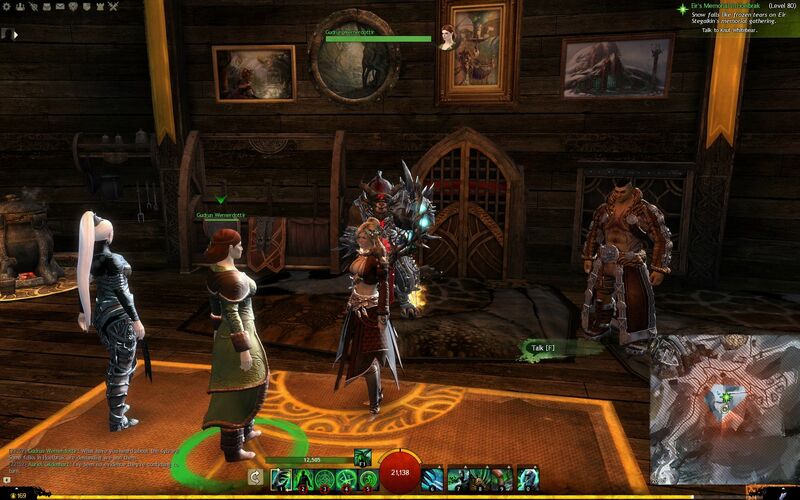 Ever since then he’s been in the palace in Divinity’s Reach, until just recently that is, when he escaped. The queen’s personal guard the Shining Blade were sent to bring him back but it’s too late: Beetlestone revealed himself to be a Confessor of the White Mantle and enemy of the realm. At the current point of Living World Season 3 things have already fallen apart for Beetlestone. His grand plan was to reveal himself as supreme leader of the White Mantle and take the throne of Kryta by force, but he didn’t count on the actions of High Inquisitor Xera continuing the work of the previous leader, Confessor Esthel. 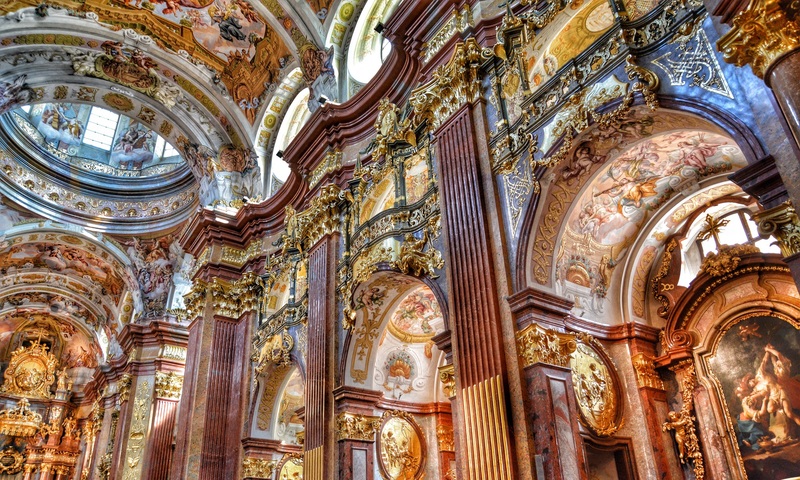 “Operation Rebirth” lead to the return of Lazarus the Dire, who immediately took control of the White Mantle. It was always the case that the primary purpose of the White Mantle was to serve the mursaat. Caudecus is now a renegade in defiance of his rightful lord, bent on his own ambitions for the Krytan throne. It seems inconceivable that he has any real chance of success and his death somewhere along the story looks highly likely. What are the Chances of Birthdays 5, 6 and 7? Changing the topic, there’s always talk about the state of the game. I recall playing the original game quite happily for 7 years so ArenaNet know how to manage an MMO for a long time and keep things interesting. ArenaNet’s designers are doing a pretty good job at the moment of keeping things interesting and their artists create some fantastic locations, but on the other hand gamers have an insatiable appetite for content that not even an army of developers could satisfy. That’s just a truth. Gamers are insatiable. So anyway, looking forward through the years there’s plenty, more than plenty story content to come… and then maybe one day someday we’ll get a Guild Wars 3 with quaggans in space. Okay that’s enough from me! Do you have characters turning four years old? Write something in the comment section! You can also find me on Twitter being increasingly random if you want to contact me there, or you can follow my Pocket Myriad updates on Google+ and Facebook.